What do many elite athletes from the worlds of bodybuilding, fitness, mixed martial arts, triathlon, hockey and football all have in common? They have all made the switch to ISO-XP and are reporting much faster muscle recovery and greater muscle growth than ever before. What’s the secret behind the ISO-XP advantage? Allow us to explain. Science: The key ingredients in ISO-XP are backed by gold-standard, best in class scientific research. The research team at XP-Labs set out on a mission to engineer the most powerful and effective whey protein isolate formula available and to achieve this goal they left no stone unturned. Every research study and peer reviewed journal on the science of muscle growth and performance was investigated and analyzed to ensure they developed the most complete formula on the market. Countless prototypes were engineered until they met the exacting standards of the XP-Labs research team. When the final prototype was revealed, the team knew they had created a masterpiece. Quality: Every single ingredient contained in the ISO-XP formula is subject to the most rigorous testing procedures in the world for quality and safety. Only the most premium raw ingredients qualify to be included in our formulas and our manufacturing is conducted at a cGMP certified facility – the best in the business. When you choose ISO-XP, you are choosing a brand that stands for quality, safety, and above all, results. Taste: The facts are the facts. If a protein product doesn’t deliver on taste, the product is a failure. It’s just that simple. Gone are the days when athletes had to chug down chalky, foul tasting (and smelling!) protein shakes just because there was no alternative. To ensure our flavor profile was off the charts, the researchers at XP-Labs partnered with leading flavoring technology experts to produce a taste that rivals your favorite ice cream milkshake. One serving is all it will take for you to be hooked on the taste of ISO-XP. It really is that good. We promise. As with every formula developed by the XP-Labs research team, science is the foundation of ISO-XP. The key ingredient in ISO-XP is scientifically validated by multiple university level research studies. In a study published in the American Journal of Clinical Nutrition in 2011, researchers observed that whey protein isolate was superior for markers of muscle recovery and growth than casein. A second clinical study published in the Journal of Nutrition demonstrated that the key ingredient in ISO-XP was superior to carbohydrates and soy protein for improving body composition and reducing waist circumference. These findings suggest that ISO-XP is not only ideal for muscle growth and recovery, but can also be very effective for athletes who are dieting to burn fat and get ripped. A third study on the key ingredient in ISO-XP that was published in the American Journal Of Clinical Nutrition demonstrated that the exact dose found in ISO-XP was superior at increasing muscle protein synthesis than smaller doses of protein. A fourth study published in the International Journal of Sport Nutrition & Exercise Metabolism studied the effects of whey protein isolate supplementation on resistance training test subjects. This double blind protocol compared test subjects using whey protein isolate to test subjects using a carbohydrate drink. After 10 weeks, the whey protein isolate group gained significantly more lean muscle and strength than the carbohydrate group. Every full serving of the ISO-XP formula is loaded with a whopping 50-gram dose of premium protein, exclusively from whey protein isolate (WPI). Whey protein isolate is without a doubt the fastest absorbing and most bioavailable protein source on the market and serves to deliver key amino acids through the bloodstream and to your muscles, where they can be used for rapid recovery, tissue repair and dramatic muscle growth. The whey protein isolate in ISO-XP utilizes a cutting edge extraction method with extreme compression and microscopic ceramic plates to extract whey micro-fractions and remove virtually all excess carbohydrates and fat. This advanced extraction technology creates the most pure, biologically potent protein source in the sports nutrition world. Nothing works faster or more powerfully than the protein in ISO-XP! ACTI-WHEY is a cold temperature extraction process that prevents protein from being denatured and avoids the use of harsh chemicals found in inferior ion-exchange whey protein isolates. UPTAKE-XP is a proprietary nutrient matrix that serves to enhance the bioavailability and muscle cell uptake of ISO-XP by delivering whey peptides faster for greater muscle and strength building effects. FLAV-LOK is a proprietary flavoring technology developed by leading flavor experts to enhance the taste profile and treat your taste buds to a delicious dessert-like experience with every serving. ISO-XP is an Ultra-Fast Musclebuilding Whey Protein Isolate Fuel. The premium whey protein isolate in every serving of ISO-XP delivers critical amino acids directly to your muscle cells to help them repair, recharge, and rebuild. ISO-XP represents the absolute highest standard in quality and efficacy and delivers maximum results for athletes of all levels. Why is ISO-XP superior to other protein sources? ISO-XP uses only the most premium whey protein isolate source as the foundation of its formula. Whey protein isolate is more bioavailable than other protein sources and has been proven in university research to be superior for muscle growth than other protein sources. Each bottle is carefully manufactured at a cGMP certified facility and is free of any banned substances. Is there research on ISO-XP? The key ingredient in ISO-XP is scientifically validated by multiple university level research studies. In a study published in the American Journal of Clinical Nutrition, researchers observed that whey protein isolate was superior for markers of muscle recovery and growth than casein. 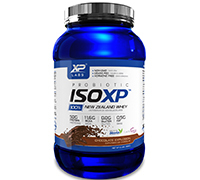 A second clinical study published in the Journal of Nutrition demonstrated that the key ingredient in ISO-XP was superior to carbohydrates and soy protein for improving body composition and reducing waist circumference. These findings suggest that ISO-XP is not only ideal for muscle growth and recovery, but can also be very effective for athletes who are dieting to burn fat. How do I take ISO-XP? ISO-XP is an extremely delicious and effective protein formula. It’s easy to mix, digests well and delivers rapid musclebuilding results. For best results, shake, mix, or blend one serving (1 scoop) of ISO-XP in 250ml of water 30 minutes after you train or compete to accelerate muscle repair and recovery and to dramatically enhance muscle growth. Consume a second serving of ISO-XP at any other time of day between meals to keep your body in a natural anabolic state. Is ISO-XP safe for drug-tested athletes? Directions: For best results, shake, mix, or blend one serving (1 scoop) of ISO-XP in 250ml of water 30 minutes after you train or compete to accelerate muscle repair and recovery and to dramatically enhance muscle growth. Consume a second serving of ISO-XP at any other time of day between meals to keep your body in a natural anabolic state. Ingredients: Whey Protein Isolate, Stevia, Natural Vanilla Bean Extract, Xantham Gum, Enzyme Blend and Probiotic/10 billion per 57g serving (GanadenBC 30). 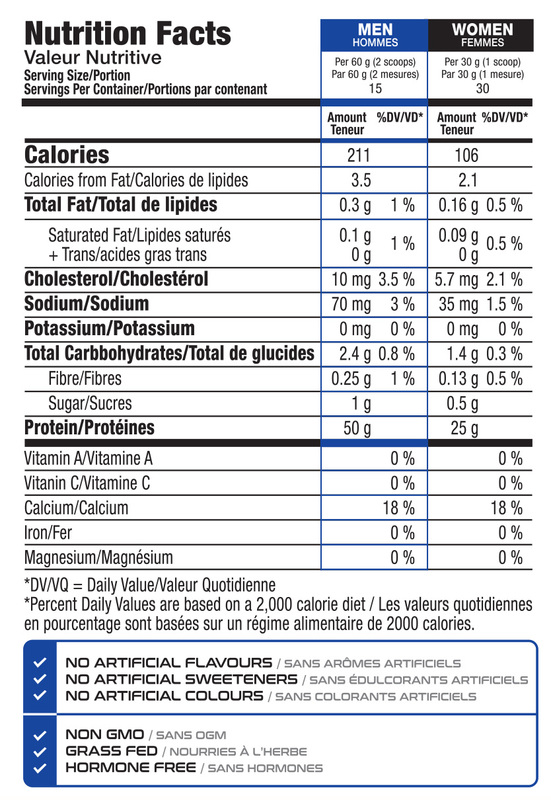 ALLERGEN INFORMATION: Contains milk ingredients and soy lecithin. Manufactured in a facility that processes milk, soy, wheat, egg and peanuts.